Describe the Setting: An underwater castle at the bottom of a black lake. 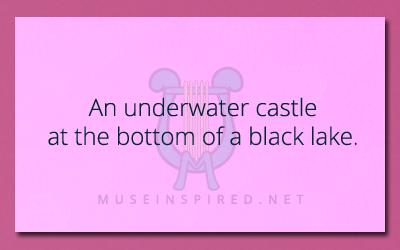 Describe the setting of an underwater castle at the bottom of a black lake. Siring Settings - A forest with bloodsucking butterflies. Siring Settings - A corner shop that makes the most amazing pineapple smoothies you've ever tasted.